Current high-volume use of imidacloprid is "not sustainable," says Health Canada, which today proposed a phase out and ban of the controversial agricultural pesticide. Health Canada is proposing a ban on almost all uses of a controversial neonicotinoid pesticide called imidacloprid, saying it is seeping into Canadian waterways at levels that can harm insects and the ecosystem. 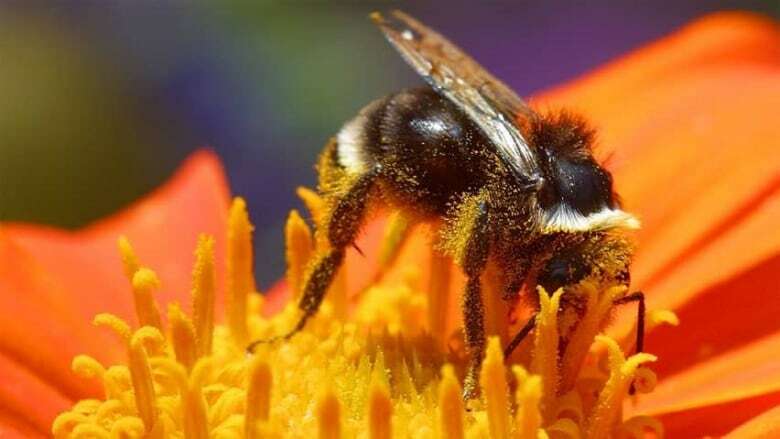 Neonicotinoid pesticides, the most widely used class of insecticides in the world, have faced increasing restrictions because of the risk they pose to bees, but have been allowed in Canada for agricultural and cosmetic purposes. Today, Health Canada released its draft risk assessment for imidacloprid for public comment. This review doesn't look at bees — that's being done in a separate assessment. "Based on currently available information, the continued high-volume use of imidacloprid in agricultural areas is not sustainable," the assessment states. It proposes phasing out all agricultural uses of imidacloprid, and a majority of other uses, over the next three to five years. "I'm really surprised," said Mark Winston, a professor of apiculture at Simon Fraser University and senior fellow at the university's Centre for Dialogue. "To take an action to phase out a chemical that is so ubiquitous, and for which there is so much lobbying pressure from industry, I think that's a really bold move." Based on its findings for imidacloprid, Health Canada is launching "special reviews" of two other widely used neonicotinoids: clothianidin and thiamethoxam. Imidacloprid is a broad-spectrum insecticide that works by interfering with the nerve impulses of insects, killing them. It's used to control pests on a large number of agricultural crops, from cereals and grains to Christmas trees and ornamentals, says Health Canada. 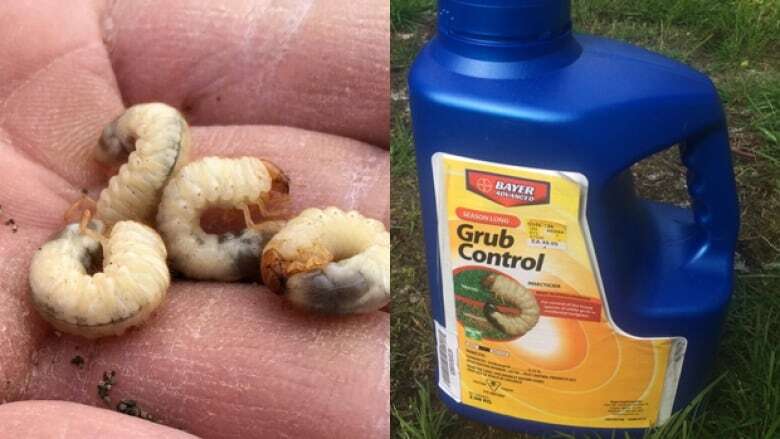 Some homeowners also use it kill chafer beetle larvae and other grubs that destroy their lawns. The chemical's toxicity to bees and other insects is not in scientific dispute, though regulators worldwide have wrestled with the question of whether it could be used at times, or at low enough concentrations, to mitigate those risks given its usefulness to agriculture. Health Canada's review found imidacloprid is getting into the environment, through run-off and drifting spray, and is "being detected frequently in Canadian surface and groundwater." Imidacloprid has been found, in rare cases, in concentrations as high as 11.9 parts per billion, more than 290 times the level considered concerning based on scientific evidence, Health Canada said. In areas of "intense agricultural activity" in Ontario and Quebec, the agency found the chemical "frequently in surface water at levels well above concentrations that may result in toxic effects to insects." Those insects, including mayflies and midges, are important to the ecosystem as food for fish, birds and other animals. The review also found a risk to soil-dwelling organisms. It did not find a risk to human health from exposure to the chemical. Bayer, which developed imidacloprid in the 1980s and is still a key manufacturer of products using it, said it was "extremely disappointed" with Health Canada's announcement. "We will conduct a thorough review of their proposal and supporting data, and provide input into the consultation process," Bayer responded in a statement. "Canadian growers value imidacloprid due to its efficacy, safety to applicators and favourable environmental profile, when used according to label instructions." The effect of neonicotinoids on bees has been hotly debated amid widespread colony collapse. 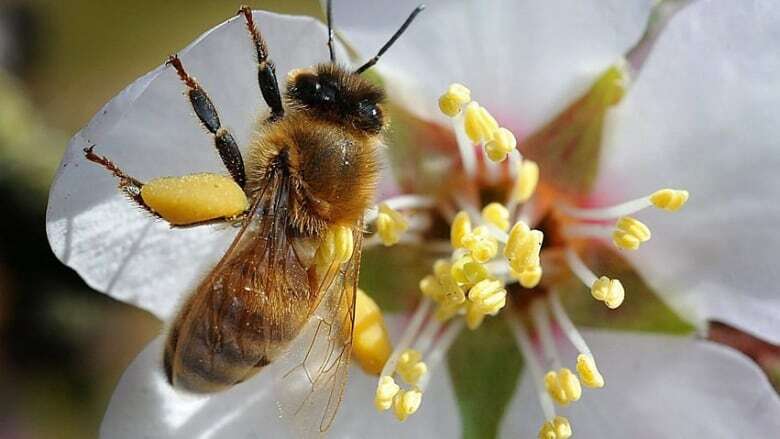 Vancouver and Montreal have both voted to ban the use of neonicotinoids, and Ontario and Quebec have moved to limit use of the chemicals, citing concerns about bees. Health Canada is currently conducting its own review on the effect of imidacloprid on bees and other pollinators. Neonicotinoids can kill bees at high concentrations, and cause more subtle but still damaging effects at lower levels, says Winston, who is also author of Bee Time: Lessons from the Hive. However, the exact role of "neonics" in colony collapse, compared to other pesticides and stressors on bees, is still being determined, he says. "Eliminating neonicotinoids in my opinion will help bees, but it will not solve the entire bee crisis," said Winston. "It's a good step in that direction." "It's a complex problem … we need to take a broader-spectrum look at how we do agriculture if the bees are going to return to health and prosperity." Health Canada is taking public comments on the proposal for 90 days, until Feb. 17, 2017, and will publish a final decision after that input. In a statement, Health Minister Jane Philpott said the proposal is an example of science-based decision-making, which the Liberal government had promised. "Health Canada is taking the findings of the re-evaluation of this pesticide seriously, and is taking action to further protect the environment," she said. Environmental Defence, based in Toronto, applauded the proposal to ban imidacloprid, but wants it to happen more quickly. "This timeline is unnecessarily long," said Maggie MacDonald in a statement. "The federal government must accelerate the phase-out to prevent further harm to aquatic wildlife and pollinators." Winston thinks the timeline is appropriate, and hopes it gives farmers time to find more sustainable approaches — and not another synthetic pesticide. "Giving farmers a few years to adapt, but making it clear that they need to adapt, is probably the most balanced way to go." A previous headline on this story described imidacloprid as "bee-killing." While it is lethal to bees and other insects, readers of the headline alone may have had the impression Health Canada's proposed change was due to risk to bees. In fact, as the story states, the proposed ban comes after an assessment of risk to aquatic insects, and the government is still assessing risk to bees and other pollinators.